th the little time that you might have. In this guide, you will find a simple approach to use for one week GRE preparation. There is no way around this; you must practice using as many tests as you can get. Practicing allows you to train your brain to recognize questions quickly because GRE test questions are pretty much the same in terms of format, logic and most cases the content. So, you need to start practicing from your first day of the week before GRE exam. Practicing more will also allow you to relieve tensions that come along with exams and this may allow you to perform better. Remember, you are running out of time, your exam is probably a few days away, so you will be at an advantage if you concentrate on your stronger side. If you are naturally good on vocabulary, grammar, contextual analysis, or maths for that case, then focus on that area before you focus on other areas. Do not overly invest in your stronger area and forget the other areas. The test question may lean much on your weaker area, so spend your time wisely. Make sure you prepare a timetable to follow throughout the week. You can start with day 1 to day 6. Then on day seven, concentrate on an area that you are strong at, and do not let anyone distract you from those areas. As noted previously, scoring a 320 is not that easy, it takes time and an enormous amount of GRE study. In this case, you do not have the luxury of time. So, you will need to be strategic in your prep. You need to focus on the concepts and not on problems. If you agonize over a specific problem, you will end up losing much of your precious time. Now, these are just strategies that you can use at the last minute as you wait for your GRE. There are a couple of GRE Prep book you can use to prepare for your exam. These books often vary in regard, to materials, content, and other parameters, therefore, it is important to look for the Best GRE prep book available. You must get one that has earned a reputation for providing quality prep materials. With the best GRE prep book and a little bit of hard work and dedication, you can be on your way to earning a 300+ in your GRE. Let’s talk about biodiversity. 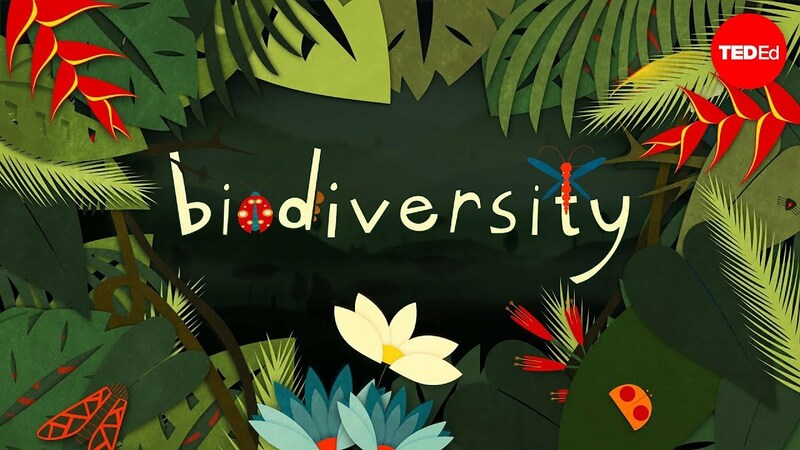 When you think about biodiversity, you may think of a diversity of species, but do you also think of all the ecosystem services that a biodiverse region provides? Clean air and water, medicine, and erosion prevention are just a few intrinsic benefits that human beings receive from a biodiverse region. Conserving biodiversity includes tackling big environmental issues; how we solve these problems will greatly impact how a region’s plants and animals adapt and survive. However, the way we talk about biodiversity, especially to children, does not always bring these ideas across very well. It can be alternately alarmist and ineffective. The reality is that if our current way of talking about biodiversity was effective, we wouldn’t be losing so much of it. Fortunately, the IUCN may have a solution. The IUCN, the International Union for Conservation of Nature, is the world’s oldest and largest global environmental organization and acts as a neutral place for governments, NGOs, scientists and businesses to find pragmatic environmental solutions. The IUCN tackles hundreds of conservation projects every year and wields influence with its many member organizations, even having official Observer Status at the United Nations General Assembly. One of the IUCN’s committees, the Commission on Education and Communication, has recently launched a new campaign on biodiversity using positive messaging to get people engaged in the conservation message. “Love. Not Loss” is based on the idea that inspiring awe, wonder and fascination with the power of nature is the most effective way to reach the public about the importance of biodiversity. Why is that? When people experience a memorable natural encounter as a child, that experience can be reawakened in the adult. People who got outdoors and enjoyed nature as children are more likely to be environmentally responsible adults”. This not only speaks to the power of natural experiences in childhood, but also to our ability to recall them and the emotions that they elicited years later. The soil under our feet is an amazing ecosystem, teeming with life; it is so ordinary-seeming that we often take it for granted. In fact, the world below the ground is essential for life above. From the tiniest soil microbes to the fattest groundhogs, the creatures that live under the ground have a profound effect on how well plants can grow. Since all human beings depend on plants for food, shelter, air to breathe and clothes to wear, we have a very vested interest in learning about and protecting our soil and all the animals that live in it. One of our favorite programs is about just that. 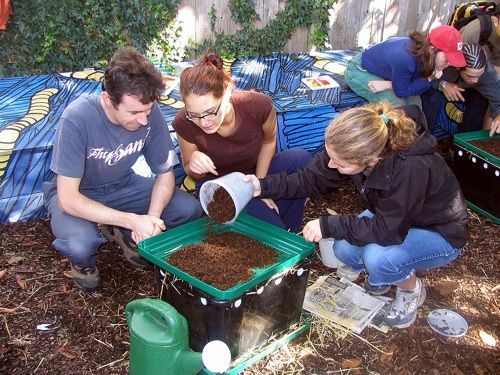 In Worms: Our Composting Friends, we teach students about the importance of the underground ecosystem, focusing on worms and the role they play in fertilizing and aerating the soil. This two-hour field trip is broken down into a classroom portion and a tour. In the classroom, we explore the components of soil and get up close and personal with worms from our vermicompost bin. Students compare worm anatomy to their own and learn how a worm’s body is adapted to its environment. They learn why worms are slimy (the slime on their skin helps worms to breathe and move) and how they can see without eyes (they navigate by sensing vibrations in the ground). They also handle some worms and look for prominent anatomical features, as well as watch them move to understand their muscles. By shining a flashlight through a worm’s body, students can observe its digestive tract, built to eat vegetation and the tiny microbes that live on soil particles. Finally, we talk about how worms excrete nutritious worm castings for plants to eat and aerate the soil to allow plant roots to grow. The tour portion of the program consists of a self-guided or docent-lead tour of the Conservatory. Those who would prefer a self-guided experience may request a PDF of our self-guided tour or explore on their own. Those who choose the docent-lead tour will learn about the history of the Conservatory and the plants of our tropical and desert biomes, as well as the soil we use to grow them. If you are a teacher and would like more information on how to sign up for this or any other school program, please use the “Registering for Programs” link in the menu above. Please note that scout groups, home school groups and other groups of 10 or more may sign up for any of our school programs as well. Groups that book programs for September 1-December 31 are also eligible for our 25% off fall discount.